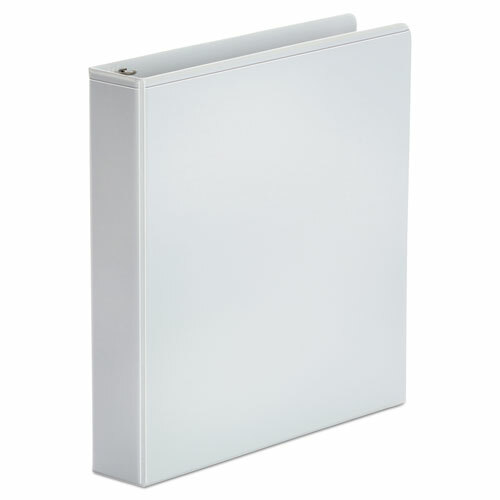 Economical view binder for light use. Non-glare transparent plastic overlays on front cover, back cover and spine for easy customization. Binder features back-mounted rings for added convenience. Two inside pockets provide extra storage for loose documents. Poly material is non-stick. Inserts, pockets and cover won't lift print. Capacity Range [Max]: 1 1/2 inch; Sheet Capacity: 275; Color(s): White; Binder Sheet Size: 11 x 8 1/2.